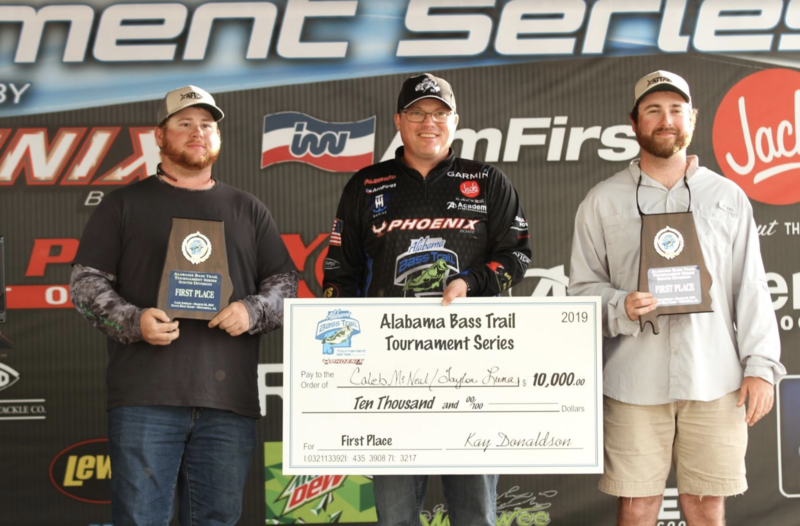 March 30, 2019 – Wetumpka, Ala. – While Lake Jordan in Wetumpka, Alabama may be one of the smaller lakes on the Alabama Bass Trail schedule, it certainly seems to produce monster results. 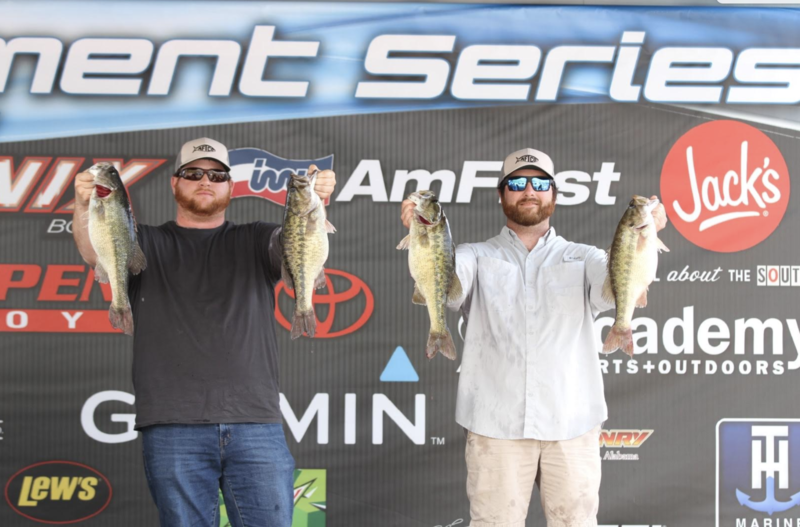 While the bass population of the Coosa River has largely been put off by a variety of conditions; high water, low water and up and down temperatures, that lull seemed to change on Saturday as the past week of stable weather seemed to have a positive effect on Lake Jordan. The evidence showed in the results of the second event of the ABT Southern Division’s 2019 schedule. 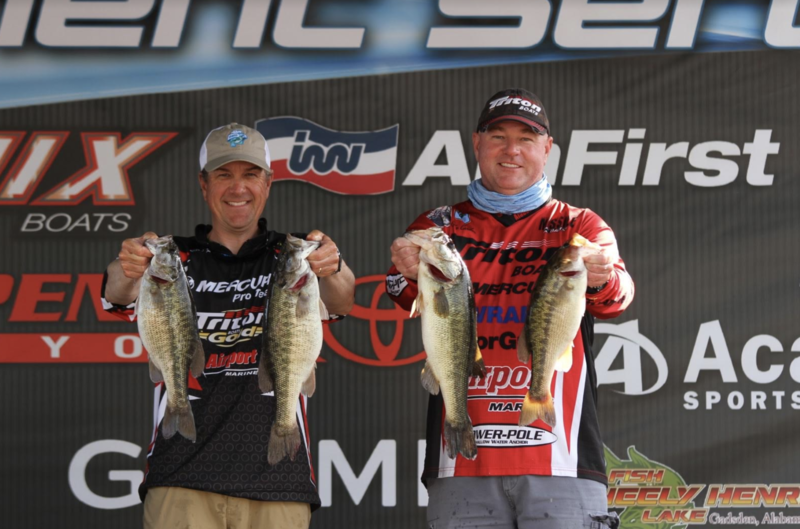 While events have been won here with higher weights in the past, the quality of limits brought to the scales were high. 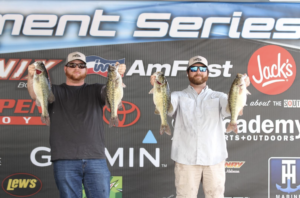 None tipped the ABT scales more so than the winners of the event, Caleb McNeal and Taylor Luna, who weighed 22.06 and took home the $10,000 winner’s purse. The team of Eric Morris – and ABT Sponsor from Wedowee Marine – and his partner Ben Williamson finished the day in third place; their second consecutive top 5 Southern Division finish. 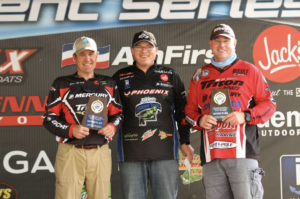 Together they earned $4,000 for their efforts, and gave themselves a three point lead in the Southern Division Anglers of the Year Race over John Pollard and Dallas Weldon. 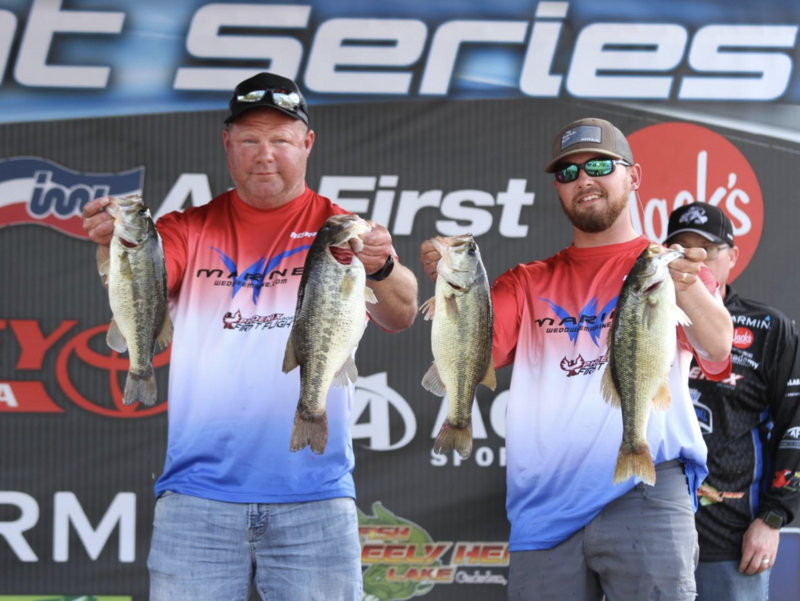 The Mountain Dew Big Bass of the tournament went to the 53rd place team of Michael Cox and Colt Boyette. 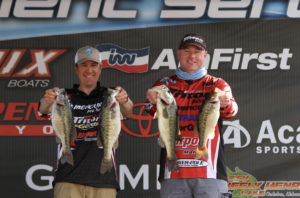 The 6.54-pound largemouth earned them the $500 bonus for catching the heaviest fish of the tournament. The Southern Division of the Alabama Bass Trail hits the water next at the Alabama River oat Cooter’s Pond on April 20.